Victoria Day in Canada has just passed, marking the official start of wedding season. With that in mind, I wanted to throw in my two cents on this year's summer wedding trends. 1. The "Birdcage" Veil: May just be one of those trends that are talked about more than used. A small, chin-length or shorter tulle veil kept very close to the face. Gives a great vintage look. Perfect for a more casual wedding. 2. Etsy: The internet's own farmer's market of everything and anything handmade. For everything from invitations to favours to The Dress, check out www.etsy.com for great, one-of-a-kind wedding items. 3. 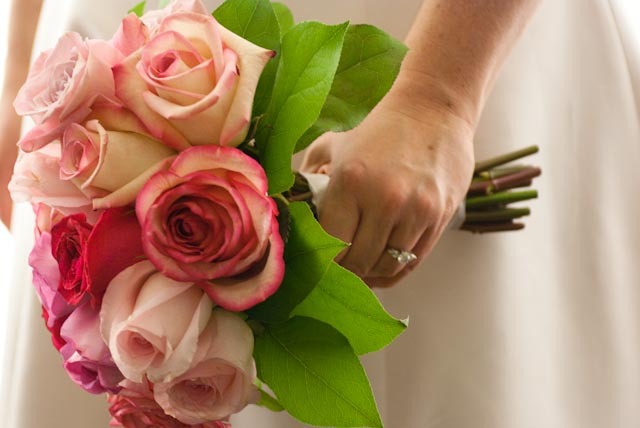 Hydrangeas, peonies & tulips: Most bouquets are of the hand-tied variety, wrapped with a ribbon and jewelled pins, or a sample of fabric from the bride's dress. Roses are the most popular choice. To keep it modern, try a non-traditional rose color such as green. Hydrangeas and peonies are some of the freshest trends in flowers for 2010. To complement your garden or beach wedding, try a more loosely assembled bouquet with a "just-picked" look. With your new tips in mind, play I-Spy at any wedding you’re invited to this summer. See you on the dance floor! And the hydrangeas are so pretty this year!